Digital media is facing a reckoning. The start-ups that were once the darlings of the industry are facing budget shortfalls and revenue declines as they struggle to survive in an over-saturated market where Google and Facebook lay claim to the vast majority of ad dollars. Now, the bubble is bursting and many of these companies are looking to sell. 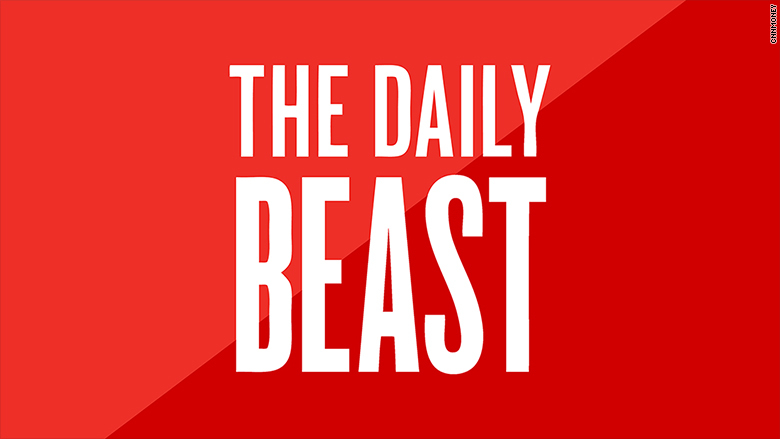 In the latest evidence of volatility, CNN has learned that IAC is entertaining potential buyers for The Daily Beast, the news and opinion site launched nearly a decade ago by former Vanity Fair editor Tina Brown. "IAC has made it known it's a seller and various outlets are taking a look," one source with knowledge of IAC's sales pitch said. "They're shopping to all interested parties." Other sources with knowledge of the talks said IAC was only entertaining offers initiated by outside parties, and that no formal sales effort was in place. The sources did not disclose any other details, including how much IAC hopes to get for the Beast. An IAC spokesperson said "IAC does not comment on rumors or speculation." Minutes after this report was published, Daily Beast president Heather Dietrick emailed staff and said there was "no sales process going on for The Beast," but that IAC often "fields inquiries from third parties looking to talk about purchases, sales, or investments." "In fact I wouldn't be surprised if others come by and ask to take a peek because of the way we've been driving the conversation in news lately," she wrote. The Daily Beast is hardly alone. Mashable, which was valued at $250 million early last year, has reportedly agreed to sell itself for just $50 million to the trade publisher Ziff Davis. Univision is reportedly looking for investors to buy a minority stake in their Fusion Media Group, which includes the former Gawker Media sites and the Onion, as well as Fusion TV. Meanwhile, BuzzFeed is on track to miss its revenue targets by as much as 20% and is no longer likely to file for an initial public offering next year, the Wall Street Journal reported Thursday. Vice, too, will fall short of its projected revenues. Even CNN Digital, which brought in its highest revenue in history this year, expects to fall short of its revenue projections by at least $20 million dollars, according to BuzzFeed. In a number of cases, companies failed to meet the sky-high numbers they promised to investors. Some, like BuzzFeed and Mashable, scaled-up by being omnipresent on social media without figuring out how to make enough money off those platforms. Meanwhile, those platforms -- most notably Facebook and Google -- started taking larger and larger chunks of the available advertising revenue. Today, the Facebook-Google duopoly owns between 60 to 70% of the U.S. digital ad market, leaving digital media companies to fight over crumbs.